Home Minister Asaduzzaman Khan, assured that strong monitoring will ensure stable price during Ramzan. 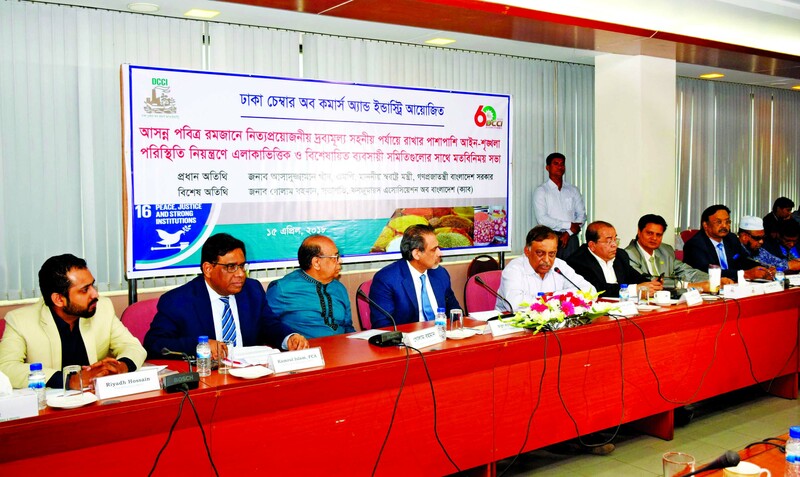 He told it at a seminar on "ensuring rational price of essential commodities along with favorable law and order situation during the month of Holy Ramzan" organized by Dhaka Chamber of Commerce and Industry (DCCI) at its Board Room as the chief guest. Kamal said that law and order situation will be under control during the Ramzan as the law enforcement agencies will remain alert across the country to avert any sort of untoward incident. "Like previous years, mobile Court will also be in operation this year to protect contaminated food and ingredients," he said. 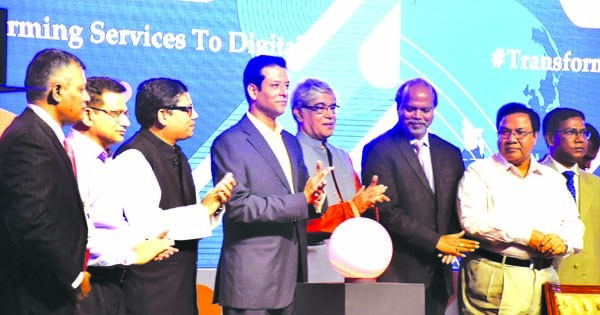 President of Consumers Association of Bangladesh (CAB) Ghulam Rahman was present as the special guest at the function, said a press release. Asaduzzaman Khan said the government will show zero tolerance to the extortionists, no matter he or she is a police member or civilian. "Law enforcement agencies will not spare any unscrupulous traders. If a policeman is found guilty or corrupt, the government stands strong against him and take tougher action immediately," he said. Regarding highway traffic congestion, Kamal urged drivers to abide by all traffic and road safety rules to avoid checking of highway police. "Due to checking in the highway, it sometime creates gridlock which is true," he said. He called upon the drivers of heavy vehicles not to carry over loaded goods as it destroys the roads. DCCI President Abul Kasem Khan in his welcome address said that according to TCB, prices of essential commodities have been increased to 17.51 percent between April and May in 2017, said a press release. The reasons behind this price spiral were traditional supply chain management, unabated stocking, lack of market monitoring, extortion in transportation sector, excessive traffic congestion, increase of transportation cost. This year the average inflation rate is 5.82 percent and the food inflation is already 7.13 percent. He said people now a days may change their food habit specially in the month of Ramzan as it will help sustainable commodity price in the market. He said if government reduces tariff and duty on essential consumer products, traders will be able to reduce the prices of those goods. He also urged the law enforcement agencies to strongly handle extortion in transportation sector as well as manage traffic jam in the city and highway. Before Ramzan, speedy Customs clearance of essential commodity items mostly used in the month of Ramzan in the ports can ease the price hike. DCCI Directors Md. Alauddin Malik, SM Zillur Rahman, former Senior Vice-Presidents Abdus Salam, Shekil Chowdhury, former Vice-President Md. Sirajuddin Malik, fomer Director Sharfuddin, Convenor Shamsunnahar, Secretary General of Bangladesh Edible Oil Merchants Association Md. Abul Hashem, Secretary General of Pulse traders Association Shafiqur Rahman took part in the open discussion session. Speakers said that the supply of pulse, sugar and edible oil is quite adequate, so there is no reason of price hike of these products in the upcoming Ramzan. They also urged for market research for identifying supply and demand. They also demanded for separate ferry ghat for specially essential goods laden vehicles. Md. Abul Hashem urged the government to give single digit loan to the wholesalers of essential goods. Transportation cost is increasing day by day which hampers the stable price, he said. Speakers also urged to strengthen Trading Corporation of Bangladesh (TCB). Shekil Chowdhury said we are against the unethical businessmen and we need to create transparent market monitoring mechanism for sustainable supply of goods.